I can hardly believe it’s been nearly four weeks since I last wrote a post. Yes me, the prolific blogger, or at least that’s what I thought I was when I started this site last November. My circumstances have changed – for the best, I might add – and blogging is proving far harder to fit in than I ever imagined. I’ve gone from being a part-time undergraduate with a full-time job, to a full-time postgraduate who’s masquerading as a journalist a few days a week. When I started my MRes (Masters of Research) it was with bags of gusto. This is it Asha, the first step on the ladder to a new career path. But in the last few weeks I have found myself wondering, have I created the world’s biggest challenge for myself? The gap between the undergrad and the postgrad is enormous. We’re talking an abyss. My classmates are wonderful and we all get on so well. There’s a lot of us – 24 – and it’s an international bunch from: America; Canada; Greece; France; Germany; Ireland and of course the UK. I have to admit I’m struggling to keep up with these bright, young things who seem to be able to pick up things so fast, myself and the other mature student – SweetTooth (never seen anyone eat chocolate like her) – are left scratching our heads. The lectures may as well be in Latin because the stats classes are all in Greek. Oh yes, stats…….. who knew? I’m sure that wasn’t in the prospectus when I applied. I did GCSE maths 20-years ago, how the hell am I supposed to get my head around postgraduate statistics by week six?! God love my tutor, he’s brilliant, too brilliant for his own good. His favourite catch phrase: “Come on, this is primary school mathematics”, really? I don’t even understand what the buttons on the calculator do. He told me last week that the only thing that can ever be true is mathematics. This week we learnt how to calculate two-way ANOVA by hand. There’s a computer software programme that does this for you, but Dr Stats wants us to understand how this is done and as a treat, the dear man has given as an assignment to do. Now I know my brain is not geared to understand complex equations…..I get there eventually, but by that time, I’m miles behind everyone else. My lifestyle as a hack also hasn’t done me any favours. You know what they say, the best stories are found in the pub. Thirteen years is a lot of pub-time. New research has found that people who have damaged the orbitofrontal cortex and anterior cingulate cortex—two areas in the frontal brain— through substance abuse have difficulty making sound choices. Something I fear I can relate to more and more these days. Professor Wallis says the study was born out of wanting explore the lengths at which addicts will go to satisfy their cravings, even if they’re fully aware of the dangers. Professor Wallis also added that he wanted to find out what happened to the brain that prevented it from making common sense choices; and what was stopping the addict from kicking their habit. In order to test the two areas of the brain, researchers measured the neural activity of monkeys (macaques) as they played games in which they selected pictures most likely to deliver juice through a spout into their mouths. The study was designed to test how the animals weighed up costs, benefits, and risks. Needless to say the monkeys learnt pretty fast which pictures to select. 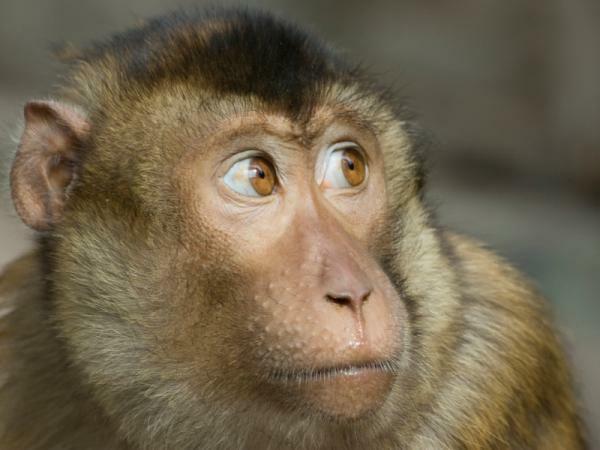 The brains of macaques function similarly to those of humans in basic decision-making. The results showed that the orbitofrontal cortex regulates neural activity, depending on the value or “stakes” of a decision. It’s the part of the brain which enables you to make important decisions, in my case whether to run non-parametric or parametric tests on my data. For the Northerner what he’s having for his tea. But in the case of those people with damage to the orbitofrontal cortex, the neural activity doesn’t change based on the gravity of the decision. The other part of the brain, the anterior cingulate cortex, is the part of the brain that tells us if our decisions matched what we expected. So if you ate something that made you ill, you know not to eat it again. But addicts don’t have this function and can’t learn from their experiences, so they continue to make bad choices. Posted in: My brain hurts! ← Apple founder dies, but do primates mourn their leaders?